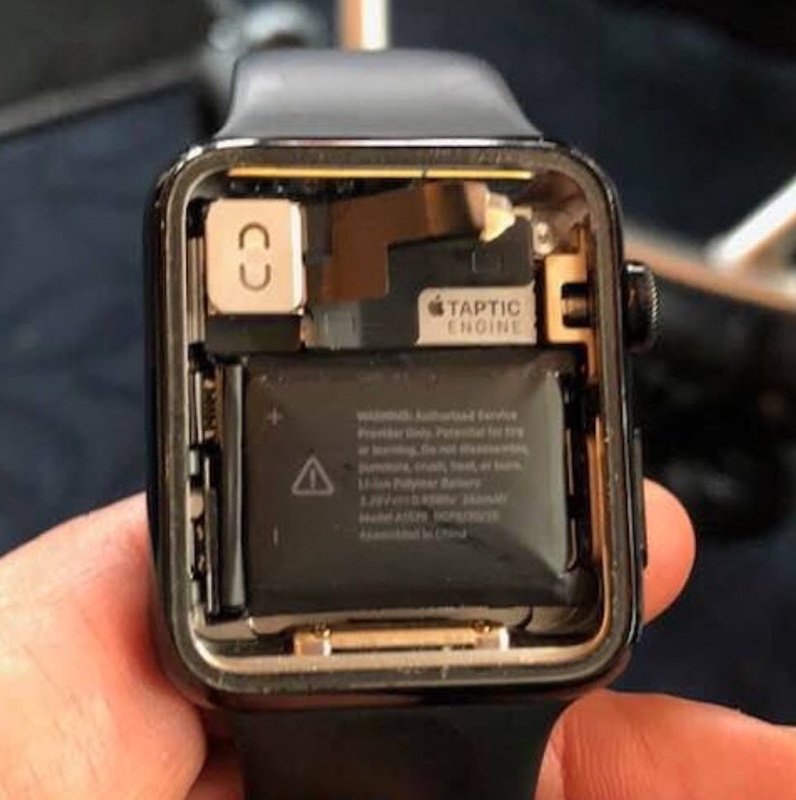 Was checking my FB feed while my wife was picking something up and saw my FB friend said his Apple Watch screen fell off while he was skiing. Apparently this is not a rare occurrence and checking Reddit & MacRumors show various posts about it. Rare, but it still happened! that’s unbelievable that the Apple Watch does not have a better way to hold the screen into the case. G-Shock would never get broken! Happened to my wife 3 times. Each time with a new replacement watch. We think it was probably something in her sunscreen that was breaking the glue down. Don’t use that sunscreen ! Check out that bulging battery! It swells up when it fails! The screen falling off is the least of his problems. That thing is dead.